$2 surcharge, which includes sales tax. Please have your printed receipt. 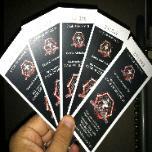 Local fighters are also selling tickets! !